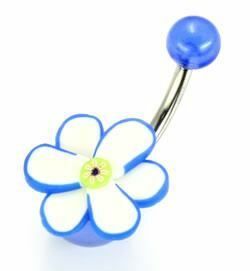 Add some flower power to your body jewelry collection with this 14g belly button ring. It has a 5mm top ball and 8mm bottom ball, both of which are acrylic. 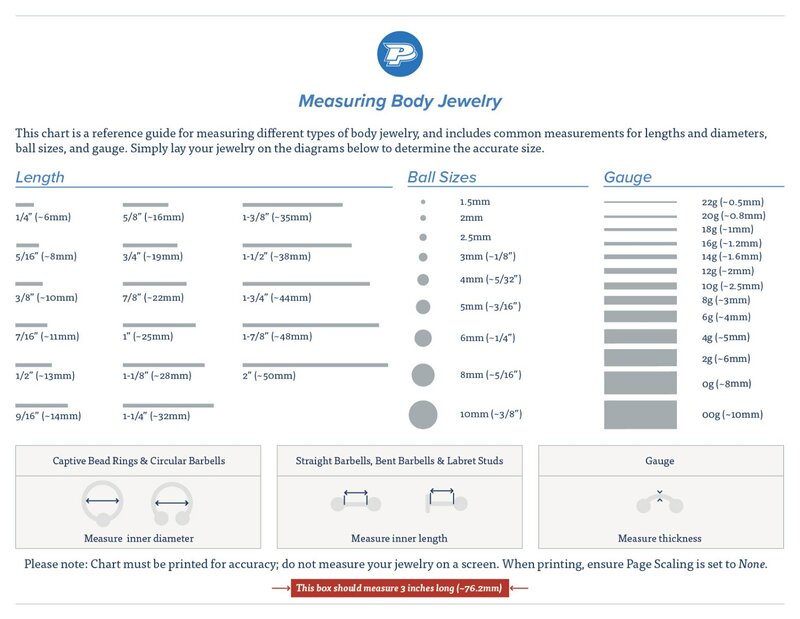 The face of the 8mm bottom ball features a white flower that measures 1/2” (13mm) all around. The flower is outlined in blue and made from a brand of polymer clay called Fimo. The externally threaded 7/16” (11mm) shaft is made from 316L Implant Grade Stainless Steel.